Four of the languages offered at William Jewell College, Chinese, French, Spanish and Japanese, have teaching assistants (TAs) who come from across the globe to help Jewell students learn about language and culture. All of the TAs utilized study abroad programs in order to come to the United States. Rita Huang, the Chinese TA, and Junta Shirai, the Japanese TA, both used the program Allex to come to Jewell. Huang explained how she saw an advertisement for the program and decided to apply. She went through a series of interviews and applications before she was placed here. “I’ve always wanted to study abroad. I studied English at my school, my university. In Taiwan, we don’t really use English, so I really wanted to go abroad and to see what it’s like. I saw this poster on the corridor, and I decided to give myself a chance,” Huang said. Many of the TAs are still students at their home universities. While spending time at Jewell, they are able to continue their educations. Paola Paci, the French TA, studies in Paris, France. She graduated with her bachelors in communications of companies and public institutions last year. While studying at Jewell, she studies literature, which is what she studied when she was in high school. Isidoro Ramírez Almansa, the Spanish TA, has studied interpretation and translation in three languages: English, Spanish and German. He recently lived in Germany and was offered a job in Austria before accepting the job at Jewell. Like Paci, Ramírez is interested in communications, which is what he has chosen to focus on while here. “Communication is related to interpreting, how to develop oral skills, speech communication. All of these things are interrelated. I am very happy with the classes and with the teachers,” said Ramírez. Being able to participate in a program outside of their home countries allows each TA to experience the U.S. and learn more about the culture. Paci described first coming to the U.S. as similar to walking onto a movie set. The ability of those she has met to be able to pronounce her name was something she did not expect when coming to America. The first time Paci said her first name, she said that no one understood what she was saying. 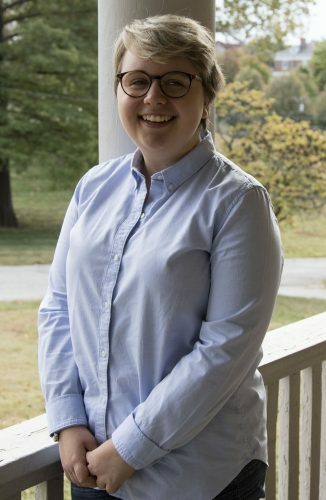 It’s been common for people to call her “Paula.” Initially, she was somewhat annoyed when people mispronounced her name, but it has not been a problem for her as the semester has gone on. “I really only knew America through the things I watched, so I had this impression that I was on set for a movie. Which is not the case anymore, I understand that for you all of this is normal,” Paci said. Ramírez was shocked by the number of cars he sees in America, specifically how many Jewell students own cars. He explained that in his native Spain neither he nor his friends own cars; they rely solely on public transportation. Many of the students Ramírez has talked with have told him that they have never before taken a train. For him, talking the train across the European Union is very common and for the most part very cheap. “We use trains for long distances, and for short distances we use buses. In Germany, the smallest village, a village of 100 people, has a train stop,” Ramírez said. The Jewell campus has impressed both Huang and Junta. 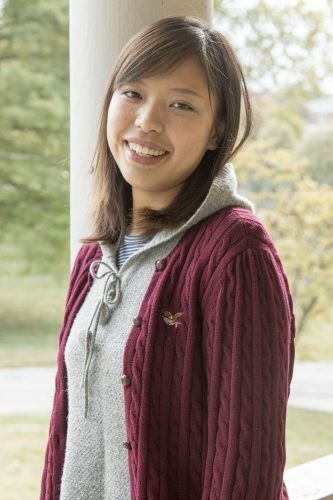 Huang, who originally comes from the city of Taichung, Taiwan, really enjoys all of the nature that surrounds campus. Junta also enjoys the campus and how quiet it is during the day. The class size is another aspect of Jewell that Huang appreciates. “In Taiwan, we have more than 50 people in a class. 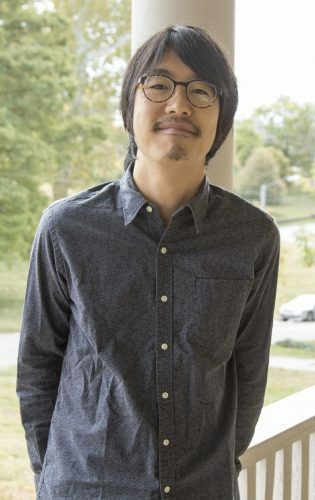 In other ways you don’t have to talk in class, so here the small size class you can get to know people more and the professors can take care of you more,” Huang said. Being both a TA and a student comes with its difficulties and rewards. Huang expressed how hard it is to find the unique balance between writing lesson plans and finding the time to work on assignments for the classes she is taking. Having classes and teaching early in the morning is the hardest part of the TA position for Paci. Being able to make the class lively is challenging, but Paci is able to focus her energy into making her classes interesting. Ramírez initially had a problem with his students understanding his accent. Being from Montilla, a city near Cordoba in southern Spain, he explained that his accent is very strong, which has caused some miscommunication with his students. 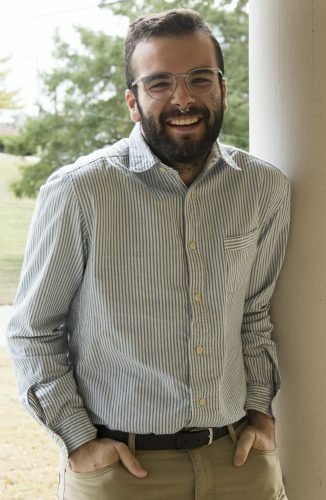 He has also experienced difficulties with his students because Ramírez knows Spanish from Spain, while many of his students are familiar with Spanish common in Latin America. Despite the problems that he originally encountered as a TA, Ramírez ultimately finds the position very fulfilling. Regardless of the obstacles they face, the TAs appreciate their students. “We can work and laugh at the same time, which is always a good thing to do. Some of them are very hard working, which is always very impressive and always good because it feels like you’re doing something good,” Paci said. Upon returning to their home countries, the Jewell TAs plan to continue their educations. Paci will be completing the second year of her master’s degree when she returns to Paris. Ramirez has his eye set on learning his fourth language. He’s interested in Portuguese while still being active in communication and interpreting.